Volume 1, No. 8 features some of the most common fence combinations you’ll find on a Hunter course. 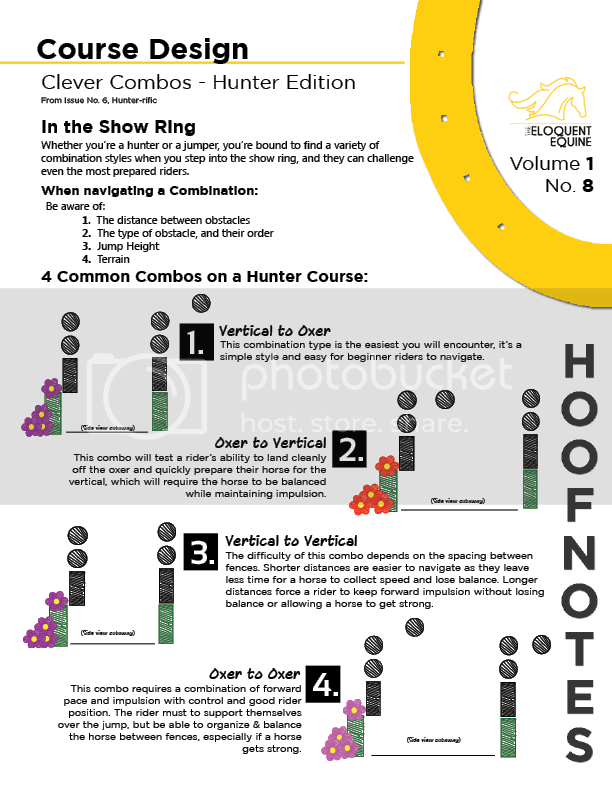 This HoofNote is is based on a larger article on Hunter course design, featured in Issue No. 6, Hunter-rific.